The buzzword on everyone’s lips at the moment is social commerce. It’s the area within social media that shows the most promise as it represents a step towards change in the way people engage with social media. We’ve now progressed from using social media as a place to converse and share content, and as we build up trustworthiness in social channels we are becoming more comfortable with the idea of transferring money and allowing social technologies to transform the shopping experience. Yet it’s also the area where there is the most uncertainty. Will social commerce end up on the mobile or online? How will we pay? How do brands make the most of this? Which social platform will emerge as the leader in social commerce? With this much uncertainty around, I wanted to look at the state of social commerce now, and examine where it’s going. Right now there’s no denying that social commerce is developing most rapidly on Facebook, as it benefits from more than 750 million active users, technologies to transform the commerce process through personalisation, and a platform to facilitate payment. Industry analysis seems to point to Facebook becoming the default place for social commerce. 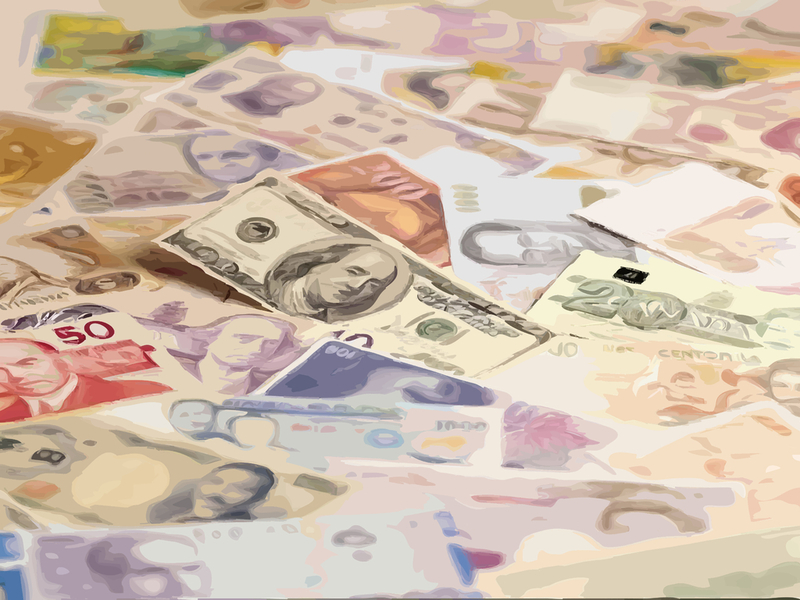 Analyst Mike Fauscette predicts that in three to five years, 10-15% of total consumer spending in developed countries will occur through Facebook. That’s not just consumer spending online, but total consumer spending, which is a pretty adventurous prediction and shows the potential of social commerce. Indeed, the numbers speak for themselves, as 1 million + Starbucks customers are using the loyalty programme that’s available through Facebook. 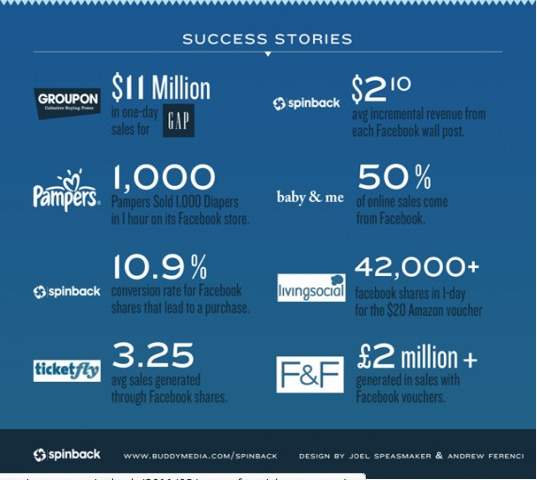 And to demonstrate the success of social commerce mechanics across different retailers, Spinback produced an infographic that shows some of the success stories for Facebook commerce. You can view the infographic in full here. But Facebook isn’t the only site making movements in social commerce. As we covered yesterday, Google is making some significant investment and even turning the Google homepage into a social commerce platform. For brands, this is a good thing. Up until now, although social commerce has been witnessing growth, this hasn’t expanded much beyond F-commerce, or limited promotions on Groupon, that follow the same format and often prove problematic for vendors. Now that Google is getting involved with social commerce, it means an ensuing battle as both Facebook and Google battle to offer the best solution for brands. The numbers for Facebook are above are impressive, but look at these in context of the the amount of traffic Google processes each day, and you have something very exciting on your hands. A new product released on Facebook on Saturday shows the future of social commerce. Givvy is a San Francisco-based startup that has released a unique social shopping cart on Facebook that not only provides personalized product recommendations to its users based on their connections and interests (admittedly nothing groundbreaking there), but also populates their online shop with user generated content. 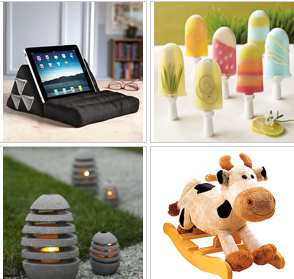 That is – users are responsible for uploading the products that are featured on the shopping cart. The entire suite of products in its catalogue will be populated by user suggestions, rather than brands dictating which products we should be shown. This turns social commerce completely on its head and shows that users will continue to gain an advantage over brands as it develops. It will become the responsibility of companies to make these products available, but how these products are discovered will depend entirely on users. We saw this start to emerge with the Levi’s social shopping cart, whereby you could opt to only see the products that your friends had viewed or recommended as opposed to what Levi’s thought you should see, and this will only continue as we seek an increasingly personalised experience with brands online. Soon, the days of an identical website or shopping cart will become obsolete, as social technologies develop to allow the content we see to adapt to our own needs and interest. The shopping cart I see will be completely different to what anyone else sees. It will be generated just for me and similarly, will feed back a unique story to my online comunity, based on my interaction with the site and products. The social commerce store from Nestlé is an important move for such a large marketplace as it shows brands increasingly wanting to socialise the shopping experience online and monetise this directly. Social commerce is the thing that has got everyone excited like never before because it is the single biggest opportunity to monetise social media – both for brands and the social platforms. The benefit to companies is that there is a range of solutions to experiment with social commerce, based on your budget. You can opt for a shopping cart plugin on your Page, or go all out a la Nestlé and implement a complete social commerce solution on a dedicate site. The choice for brands will only increase, as will the opportunities to attract new customers via social media platforms.